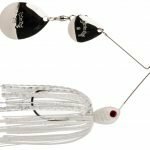 The spinnerbait has been less prominent in recent years on major tournament trails due to a number of factors, most having nothing to do with its continued effectiveness. Swimbaits have come into favor during the spring-loaded Tour schedules have put that style of lure in the spotlight. 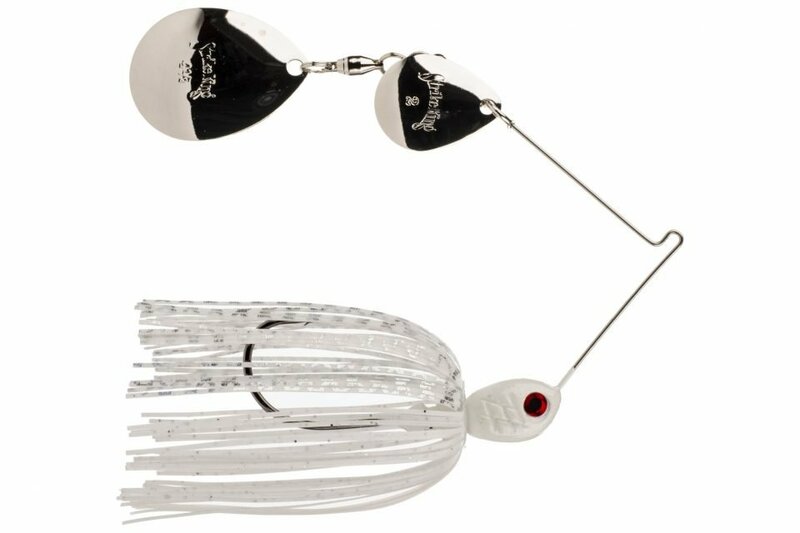 Ditto for the bladed jig, a genre that has experienced a huge revival with the popularity of the Z-Man/Evergreen Jackhammer. Of course, across the calendar, spinnerbaits can be found in nearly every angler’s boat. And for good reason. According to our friends at Strike King, spinnerbaits have always been top sellers and continue to be such. But in the early stages of 2019, spinnerbaits have played a major role in a couple of high stakes victories and a solid runner-up performance. While crankbaits have captured the headlines – and a lot of big bass – the silent spinners have quietly helped pros close out some impressive performances. Terry Bolton put a big feather in his proverbial hat when he nailed-down his first tour victory after decades as an otherwise accomplished veteran pro. Bolton held off stiff competition and weird weather and water conditions at the FLW Tour kickoff on Sam Rayburn Reservoir. He did so largely on the strength of 3 sizes of the Rapala DT series crankbaits, but the man known as “Blades” also relied on a big blade to carve out the win. Bolton’s slow-rolling weapon of choice was a white ¾ oz. Accent spinnerbait. Hot on Bolton’s heels was rookie phenom Nick LeBrun. Having won the All-American championship and fished in the 2018 Forrest Wood Cup, LeBrun is quickly amassing major accolades. He finished runner-up in his Tour debut by leaning heavily on a Strike King 5XD, especially during the opening round when he put over 29 pounds on the scale to take the early lead. 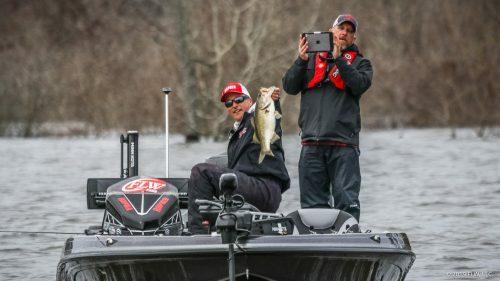 But as the tournament progressed, LeBrun discovered a deep spinnerbait bite with ¾ oz. and 1 oz. V&M Lures prototypes. The new lure has been named “The Big LeBoom” and is headed to tackle retailers now. On to Florida and a weather-shortened Bassmaster Eastern Open. Ohio pro Whitney Stephens crushed it with a 2-day total of 57 pounds, 8 ounces and a winning margin of 11-9. By contrast, Jesse Wiggins won in 2017 on the same Harris Chain of Lakes with 59 pounds, 4 ounces – and he had 3 days to do it. Stephens mostly did his work by dragging a couple of Zoom baits, Magnum Trick Worm and a Speed Worm, around hydrilla in 8-to-12 feet of water on a Carolina Rig. Then the blade made another appearance. “I had a 7- to 8-pound cull on my last stop,” Stephens said. “I had high teens and I went to 24 on my last stop. It was just incredible.” – according to David A. Brown’s report for Bassmaster.com. A custom spinnerbait was the ticket. Then there’s this personal anecdote. Last weekend my son Hunter and I had the privilege of sharing a day on the water with Gillz Gear pro Will Mansfield – @barefootkayakingangler on Instagram – who was leading the Kayak Bass Fishing Florida State Challenge at the time. Check the Tourney X web site or app to see if he can close out the win at the end of the month! We each paddled our own kayaks and made our own lure choices. I got them going on the Jackhammer in thick hydrilla as a stiff breeze blew us across a South Florida fish factory. It’s almost like cheating. That bait continues to catch fish by the dozen. But, every time we go to that lake Hunter catches one of the biggest bass of the day on a spinnerbait. And so it went on this trip. Hunter threw a Hildebrandt Tin Roller – designed by Bassmaster Elite Series veteran Bernie Schultz specifically for fishing shallow, thick grass. As he reeled-up to make another cast, he saw a bucket of a mouth open beneath the lure right beside his seat. A swing and a miss. But still. Of all the lures we threw as we drifted over miles of flooded grass, the biggest bass we saw that day had attacked a spinnerbait. In fact, our “two best bass!” – apologies to FLW Tour emcee Chris Jones – bit spinnerbaits. Full disclosure: this article cites a pair of events that featured a strong hydrilla bite in 8-to-14 feet of water on both lakes. Also, slow-rolling is a time-honored cold-water technique. So, the scales tip slightly in favor of the spinning blades in these events. Bladed baits were absent at the Costa Series event on Lake Amistad. Point is, last year it seemed as if every bass on earth was hunting down a Jackhammer Chatterbait. Have we over-exposed a generation of fish to this hard-thumping lure? Probably not. Still, might this be the year that we see a return to a subtler approach; a silent killer?